﻿ How crunchy is the snack business? How crunchy is the snack business? The total market size for salty snacks in India is worth Rs 13,000 crore and traditional snacks account for Rs 5,200 crore. The industry is expected to grow at 25-30 per cent annually. Blending authentic Indian flavours in modern formats, the snack food keeps abreast with the evolving tastes of India. The varieties and the quality of snacks being offered in India are mind-blowing. And the market differs on quality and taste with region to region and demography to demography. According to a media report, the total market size for salty snacks in India is worth Rs 13,000 crore and traditional snacks account for Rs 5,200 crore. The puffed snack market too is valued at Rs 1,950 crore. The potato chips/wafer market is worth Rs 3,900 crore, where Uncle Chips and PepsiCo's Lays are the market leaders. 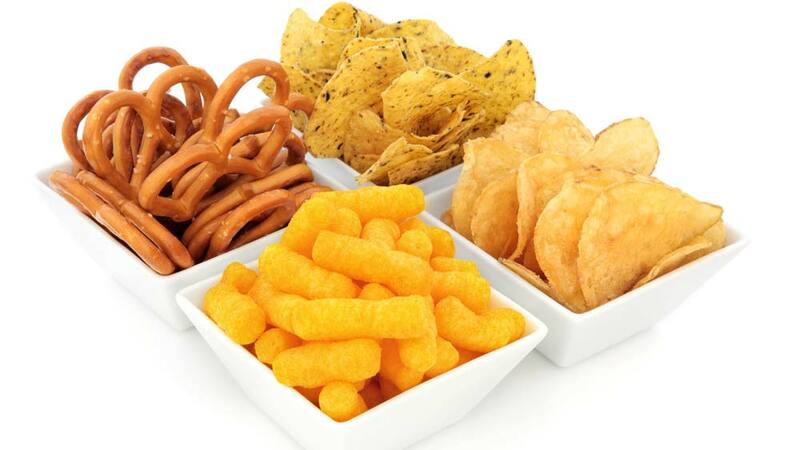 Indian snacks market is seeking huge demand due to the rise in various driving factors that is pushing the industry to grow. Dominated by major players like ITC, Nestle, MTR and Haldiram’s, they have managed to offer compelling taste at a competitive price point. Initially, the market was majorly controlled by Haldiram’s, local chips and Namkeen manufacturers, but the entry of global players have made the business more spicy and crunchy, taking almost 35 per cent share in the food and beverages market. And today, the segment is classified into two parts dividing global snacks segment from the local players. Major local players like Haldiram’s and MTR has created a milestone in the Indian snacks market. With a diverse portfolio, MTR unifies India tastefully, bringing a smile to everyone’s face with a wide range of choice of meals and snacks option for the consumers. On the other hand, Haldiram’s has created history of building a record in the Indian snacks and the fast-food segment not only in the country, but also in the overseas market. From a small shop in Bikaner to spreading its portfolio pan India and in the US market, Haldiram’s is today present across different snacks varieties, be it namkeen, bhujia, chips or sweets. Meanwhile, the global players like PepsiCo and Nestle who transformed the Indian snacks market is giving a stiff competition to the local majors. These players not only have the best product to target the local customers, but are also aware of placing their products right in the market. These global giants know the tactics of social connection and thus, they are placing their products right in the market. Recently, a lot of innovation is taking place in the Indian snacks market. Brands like MTR have launched a wide variety of ‘Pohas’ in its menu witnessing greater response from the people. ‘We’ve led the authentic Indian breakfast space for a while now and consumers love our South Indian Breakfast options. With Poha, which is one of the most loved Indian breakfast choices, we are broadening our cuisine offerings and thus, reaching more and more Indian families. Our consumer tests have been very encouraging. Consumers love MTR Poha and are delighted by the fact that it is ready in just 3 minutes. This launch is a step in easing the home maker’s variety vs. time dilemma,” shares, Vikran Sabherwal, VP Marketing, MTR Foods. At the same time, Nestle, the global food major is planning to strengthen its position in health and nutrition. The brand is also planning to make more investment seeking the growth perspective in the country, as per a report in PTI. "We are in this country for more than 100 years and we want to be there for another 100 years. So we want to continue to invest because of the potential," says Etienne Benet, Nestle Head of South Asia Region. Seeking these opportunities in the segment, the local players are also investing in the segment by adding varieties of health snacks bar and diet free chips in their product portfolio. Viefoods Pvt Ltd, a new entrant in the segment, has launched Zealeo Clusters, the energy bar offering health and taste. The product is high on fibre and loaded with health benefits. The snacks are light and easily consumable by kids and adults. “Clusters have the sweetness from dry fruits and healthy fats from nuts. The right proportions of dry fruits and nuts make it a lip-smacking snack on the go in between meals or a breakfast replacement. This bar was created as a snack 3 years ago for my family, as I could not find anything in the market without preservatives or glucose or high sugars,” says Paavani Jella, Co-Founder and Director, Viefoods Pvt Ltd. Thus, we can say that, Indian snacks market is munching high on its growth. As the industry is expected to grow at 25 per cent to 30 per cent annually, it is adopting local taste and global strategies to place its offering right in Indian shelves. About Us: 95 Pasta &Pizza, striving to create a brand with..
Top 10 Wellness Business in Nepal are here!.. Influence of Video Marketing in Wellness Biz.. Relish The Best Of Gastronomical Delights.. Taste the original \'Kulfi\' flavours..
Legal Formalities to Start a Day Spa Business..
Driving the Education Biz via Technology..
Technology advancements in Dry Eye Treatments..
Revolutionising the Vegetarian Dining Scene in Dub..